(Maybe call the hack Changeling the Lost Dream?) These are my notes and thoughts on a kind of complicated hack that I used to run a game session at Save Against Fear. The scenario was called The Long Night, something I’ve run before as a Changeling: the Lost scenario. It’s a scenario I like, starting off with an obvious mystery, then introducing some nightmares, and then finally a sinister goblin plot. 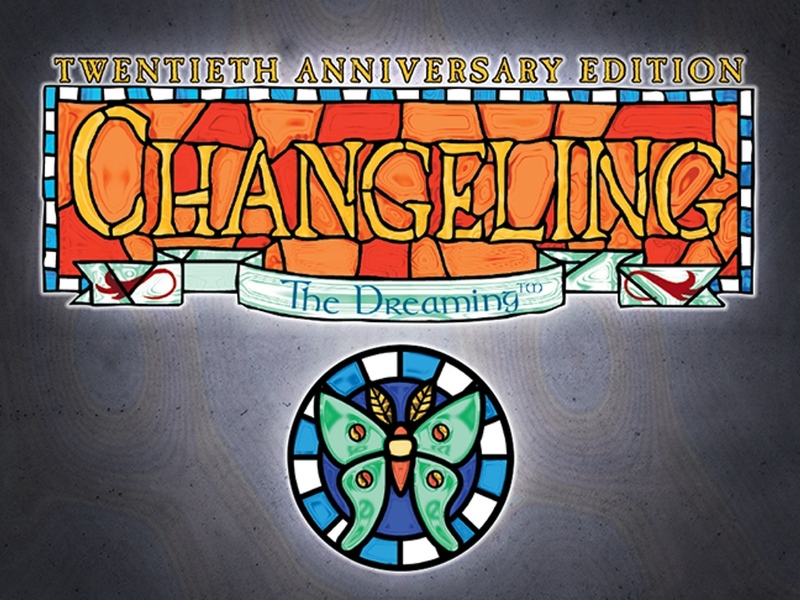 I developed the most recent idea for The Long Night before Changeling 20th Anniversary Edition came out (but after I backed it on Kickstarter), but historically there have always been parts of Changeling the Dreaming and Changeling the Lost that I liked, and others that I didn’t. One example: I like the way Dreaming’s Arts work better for the most part than Lost’s Contracts, but I prefer the way Lost handles kiths to the way that Dreaming does. Dreaming is way too Europe-specific for me, and the non-European kithain suffer from White Wolf’s tendency toward stereotyping (ahem Gypsies ahem). I much prefer Lost’s approach of generalizing out one step for a much more flexible system that can be used to represent fae-type creatures from any culture where they appear. I also really like Fate Core, especially for one-shot play in a situation like a convention where everyone will want to incorporate their zany one-off ideas, and where I don’t want to spend a ton of time explaining the system. So what I did is hack together Dreaming’s Arts with Lost’s kith, using Fate Core rules. The result was pretty awesome. My players had a great time, ending with a mighty triumph over the Goblin King that used all of their biggest abilities with flash at just the right moment. They worked together beautifully, something that Fate Core really encourages. In fact, I learned some tactics from these players, as two of them were familiar with Fate Core already, and were very adept at creating advantages and handing them off to each other for big effects. One of the players wanted me to send her my hack so that she could use it in her own game. Unfortunately, I only wrote up the rules I needed for the scenario. But I think that in principle someone could easily read through what I’ve done and do the work themselves to fill it out for their own game. For each pre-generated character, I added three Aspects: each character’s high concept, which was basically their kith and seeming; their trouble aspect, which was some way that their kith and seeming could cause trouble for them in everyday life; and an aspect drawn from their Durance and how they survived as a roleplaying hint and also a statement of what they are good at. I then left the last two slots blank and encouraged the players to fill in aspects however they would like. This list is similar to the one that I use for my weekly Fate Core Vampire game. Basically, I reorganize the Fate Core skills as they appear in the core book and the SRD, and replace some of them with White-Wolf names (Charisma, Manipulation). I also add Streetwise and Survival, since in my view those are significant aspects of White Wolf games – Streetwise in particular. 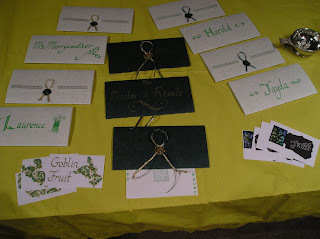 For each character, I came up with one Stunt for their Kith and one for their Seeming, adapted from Changeling the Lost. Not all of these will adhere strictly to Stunt rules as written, but they’re in the right range I think. Darkling – Ephemeral: Any Darkling can spend one Fate point to add +2 to a Stealth roll to move in darkness. Mirrorskin – The Mercurial Visage: A Mirrorskin can alter her features at will to help her mimic another person, granting a +2 to Manipulation rolls made to do so. Elemental – The Stuff of the World: Elementals can spend a Fate point once per session to clear all physical stress boxes. Airtouched – Velocity of the Zephyr: An Airtouched gains a +2 to any Athletics roll related solely to movement speed. Fairest – Fairest of Them All: Any Fairest can spend a Fate point to add +2 to a Charisma roll where she can use her appearance to best effect. Muse – The Tyranny of Ideas: A Muse can spend a Fate point to boost another character’s roll if she has a moment to inspire them. Ogre – Brute Force: An Ogre can spend a Fate point to add +2 to a Fight roll or a Physique roll related directly to brute strength. Stonebones – Obdurate Skin: A Stonebones Ogre can spend a Fate point to give herself an armor rating of 2 for a scene. Wizened – Nimble: A Wizened can spend a Fate point to add +2 to Athletics for a roll relating to nimbleness, including dodging in coming attacks. Chirurgeon – Analeptic Charm: The Chirurgeon gains +2 to any Knowledge roll used to treat an injury. As I did with my Fate Core hack of Vampire the Masquerade, for this Changeling hack I reduced each Art from five levels to only three, and made each level of the Art cost 2 refresh. Rather than tie them to Skills, I simply give a character skill in each Art as she buys it up, so that at level 1 she has a +1, at level 2 she has a +3, and at level 3 she has a +5. For Arts that have a target or minimum roll, I simply used +0 for level 1, +2 for level 2, and +4 for level 3. This means that most of the time, Arts rolls will be successful, but there is still a risk, while masters of an Art will almost always succeed on activating the 1st level (unless something is tagged against them, really). Another option would be to tie each Art to a Skill (I thought there would be too much overlap here though) and keep the basic target numbers for each level. Remember, for each of these, I only wrote out the levels that characters in my convention game would have, so this is far from complete. Also, as I said, I’m using Changeling the Lost kiths but Changeling the Dreaming Arts. For Unleashing, which is new to the 20th Anniversary rules, I decided that the effects would be up to the GM, but that an Unleashing would add one particular Aspect to the scene, which the character could tag once for free. Unleashing Autumn causes rot, decay, and ruin. The problem is one of scale. Collateral effects can harm anything or anyone nearby, and well as anything or anyone connected through sympathetic magic. You choose which person, place or thing you want to bring to ruin initially, and it spreads from there. Aspect: Ruin and Decay. +0 Autumn Eyes: enables you to recognize weaknesses and stress points in people and objects. +2 The Poisoned Apple: the changeling can reify her negative emotions into poison and infuse food or drink with it. Anyone who ingests the food or drink is struck by an attack – mental if Chimerical and physical if Wyrd. +4 Shivers: gives the changeling the power to haunt a person, place or object. Precise effects are up to the GM, but often involve a new permanent Aspect. Unleashing Chicanery imposes delusions, but the scope of those delusions often extends far beyond the original intent. You choose whom you want to delude, and another player (or the GM) determines the delusion. Or the delusion can be an Aspect defined by the GM. +0 Trick of the Light: the changeling uses this cantrip to become temporarily invisible. She is invisible to other changelings and supernatural creatures unless she makes the effect Wyrd, in which case she is invisible to everyone. +2 Dream Logic: success puts a victim into a suggestible state for a single scene. They will view your requests and suggestions in the best possible light, and only try to resist if told to do something that is clearly dangerous. +4 Lost in the Mists: this cantrip imposes a lasting delusion in the target. This cannot be a complicated delusion – something that can be explained in a brief sentence. Unleashing Chronos is more dangerous even than unleashing most other Arts. Those affected can become unstuck in time, and the resulting weirdness can be more than the Mists can cover. You choose whom or what you want to speed up, slow down, or stop in time. Aspect: Unstuck in Time. +0 Backward Glance: enables the changeling to look into the past of a particular place. First, determine how far back you are attempting to look. If your roll doesn’t enable a look that far, it automatically fails. +1 One scene, +2 Up to a day, +3 Up to a week, +4 up to a month, +5 a year and a day. +2 Set in Stone: through this cantrip, a changeling can remove the target from the normal flow of time. Not frozen in motion, but no longer aging. It is also possible to prevent wounds from healing over time, interfere with chemical reactions, and so on. +2 One day, +3 One week, +4 One month, +5 One year, +6 One decade. +4 Time Dilation: enables the changeling to move the target forward in time with all of the attendant aging and decay: +4 one year, +5 one decade, +6 one century. Unleashing Contract might draw the oathbound to you, or even help you seek someone out who would be the right one to undertake a quest. It might also escalate a rivalry to a deadly oath of revenge. The cost is that you often find more than you bargained for. Aspect: Bound by Words. +0 Done Deal: the changeling can solemnize a formal contract, and the Dreaming will enforce it. The strength of this enforcement is based on your roll and subject to the GM. +2 Casual Contract: this cantrip can enforce a classic fae trick, turning a casual agreement into a binding contract. +4 Sanctified Words: this cantrip grants an ongoing boon as part of a contract. As long as it is upheld, the boon (often an Aspect) continues. Unleashing Dragon’s Ire inspires greatness in battle, and also escalates the violence involved. Often, a scene will simply receive the Aspect: Dragon’s Ire, useful for violence and violent compels. +0 Burning Thews: grants a +2 to Physique where strength is concerned and +1 to melee damage for a scene. To use in front of mundanes, must be made Wyrd. +2 Dragonscales: grants armor 2 against physical stress for a scene, in addition to the +2 to Physique and +1 melee damage. +4 Tripping the Ire: in addition to previous levels, the changeling receives a +2 to her Fight skill for the scene. So, +2 to Physique for strength, +1 to melee damage, 2 armor and +2 to Fight skill. +0 Ensnare: entangles the target in whatever is nearby and makes sense – literal vines, cables, even shag carpet. To escape, the target must make a Physique roll to escape the obstacle. +2 Mooch: this cantrip enables a changeling to steal a small object, replacing it with a short-lived simulation. Chimerical by default. +4 Gimmix: the changeling can either hurl a large object, like a washing machine, across the zone, or have longer-term and more precise control over a smaller object. A hurled object deals a base of 4 physical stress. Unleashing Metamorphoses results in changes to shapes and size to living things all around the changeling. Aspect: Shifting Size and Shape. +0 Sparrows and Nightingales: enables the changeling to make changes in her or another’s appearance, ranging from things like hair color to apparent kith or ethnicity. The changes last for at last a scene, and up to a year and a day. +2 Worms and Giants: enables the target to grow or shrink in size. +2 half size or one and a half times larger; +3 one quarter normal size or twice normal size; +4 one eighth or three times; +5 one sixteenth or four times. This size change only lasts for a scene at most, and precise effects are up to the GM to adjudicate on the fly. +4 Chimeric Exultation: you transform the target into a creature of legend. Specifics have to be determined by the GM, but gryphons can fly and dragons can breathe fire and manticores can sting and so on. Lasts for one scene. Unleashing Primal causes an elemental storm with unpredictable effects. Usually one or two new environmental aspects. Aspect: Unpredictable Elemental Storm. +0 Willow Whisper: cantrip enables the changeling to speak with any object or animal, as long as they speak in a whisper. One question per degree of success, and the target’s knowledge is of course limited to what it might plausible know if it was aware. +2 Eldritch Prime: the changeling is able to summon one element, like fire or water, into a scene directly. Often this will take the place of an Aspect or obstacle. +4 Dance of the Five Kings: the changeling can manipulate any element that is present in the scene, for the duration of the scene. Usually must be made Wyrd. This element can be used to create obstacles, deal damage, and add Aspects to different zones. Unleashing Soothsay tends to reveal truths you’d rather remain hidden. Aspect example: Ugly Truth Revealed. +0 Omen: for each degree of success, the changeling can ask one question about the target of the cantrip. 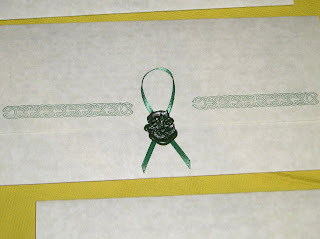 The answers come wrapped in imagery and symbolism, of course. +2 Seer’s Wisp: the changeling summons a chimerical wisp that leads her to whomever or whatever she names. The wisp often takes an interesting path, and can be a challenge to follow. +4 Tattletale: enables the changeling to scry distant places, seeing and hearing what is going on there chimerically and unobtrusively. To unleash Sovereign is to call upon the authority of the Dreaming to strengthen your own. Such power cannot help but foster resentment in those it is used against, of course. Aspect example: Imposing Authority. +0 Protocol: this cantrip enables a changeling to enforce Fae etiquette for a scene. Everyon in the zone where the proceedings are taking place are bound by Fae etiquette, even if they are not fully aware of it. (Assume some version of feudal rules with Fae quirks) To break protocol requires a Will roll to overcome an obstacle. +2 Dictum: the changeling gives a single command that must be obeyed. Anything that would shock the conscience or threaten direct harm allows a Will roll to resist by overcoming the obstacle. Dictum can only be used on the same target once a season without spending a Fate point. +4 Geas: the geas must be physically possible, and it must not require self-harm or harm to loved ones. Otherwise, any task can be laid upon the target with the full weight of the Dreaming enforcing it. The changeling spends 1, 2 or 3 Fate points, or reduces her Refresh permanently by one. 1 Fate point: a simple geas with a minor curse – do not speak until sundown or you will reveal your secrets. Unleashing Spring results in riotous growth in all nearby plants. Aspect: Riotous Growth. +0 Awaken: precise effects are up to the GM, but could include causing a plant to bloom, starting a stalled car, or even awakening someone from a coma. Can also be used, if made Wyrd, to clear either mental or physical stress. +2 Well of Life: the target is imbued with healing energy. Anyone who touches it is able to clear their stress or a minor consequence. +4 Renewal: the target is returned to life, or wholeness if an object, until the following sunrise. Unleashing summer unleashes not only heat but also strength and desire. Aspect example: It’s Getting Hot. +0 Flicker-Flies: chimerical wisps of light congregate around the target, providing chimerical light equivalent to a torch for the scene. Those nearby also feel subtle stirrings of an emotion of the changeling’s choice. 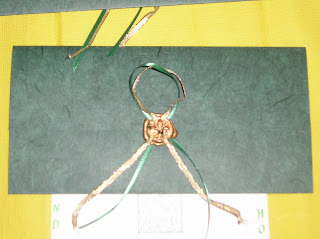 +4 The Beltane Blade: ignites the ambient Banality in a person or object into red-gold flames. If successful, the cantrip deals 4 physical stress and if the target was not already enchanted, the cantrip enchants them as well, making them vulnerable to chimerical effects and weapons. Unleashing Wayfare causes everyone affected to move, travel, and even teleport unpredictably. They often end up where their fate directs, for good or ill. Aspect example: Unpredictable Travel. +0 Hopscotch: enables the changeling to make one enormous leap, or to cause an object to leap into the air. She can attempt to force another creature into the air, but that creature resists with Will. +1 a story up, or about 10 feet. +2 two stories. +3 five storeys. +4 up to 10 storeys. +5 as far as the eye can see. +2 Quicksilver: doubles one’s movement speed, enabling them to traverse two zones and still have time to act. In addition, the target can take one additional action (and more, if the cantrip succeeds with style). +4 Flicker Flash: enables the changeling, or the target of the cantrip, to teleport. It must be to a place that the changeling knows, or she must have something in her possession from that place. Failure can mean that she teleports, but to someplace she did not intend. Unleashing Winter spreads cold, lethargy, and fear to freeze the heart. Aspect: Fearsome Cold. +0 Hardened Heart: the cold of winter grips the target’s heart, providing an armor rating of 2 against mental stress, but also makes the character appear cold and unfeeling. 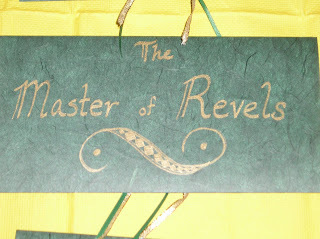 They may have difficulty making Charisma and Contacts rolls as a result, at the GM’s discretion. +2 Terror of the Long Night: this cantrip inflicts deep, primordial fear on the target which lasts for a scene. It initially counts as an attack inflicting mental stress which can be resisted with a Will roll. After this, even if the defense is successful, the target must make a Will roll to overcome an obstacle in order to act for the scene. This roll requires a round of mental effort, after which they can act freely. +4 Stasis: you freeze a person, animal or object in time. As long as it is not touched or moved it will remain in stasis, at minimum, until the next sunrise – or longer: +5 a week, +6 a month, etc. I thought about adding a third stress track, representing the effect of Banality, but decided to just have Banality be a source for physical and mental stress for Changelings, maybe as the result of failing an Art roll, or a way to take stress in order to barely succeed. It could still be thematically present, demanding Will rolls in order to avoid stress from Banality when opening a bank account or something. Obviously, there is a ton of work still to be done with this hack, but here is what I have now. It’s a big head-start if you are interested in hacking Changeling for your own Fate Core game. As always, feel free to comment below with your own ideas. This weekend, starting Friday, I will be attending Save Against Fear, the gaming convention and fundraiser hosted each year by The Bodhana Group. TL;DR: The Bodhana Group uses tabletop games in therapy. They are awesome. I’m going to be running two RPG sessions myself: Arcade Showdown on Friday at 12:30pm and then The Long Night on Saturday on 4:30pm. I will also be moderating the Game Designers Interactive Panel at 2:30pm on Saturday, which should be fun. Sunday is my day to actually get some playing in, and I’m signed up for Fifth World – The Monster and then ending things off with Retrostar run by Jack Berkenstock Jr. himself. If you are not going to be at Save Against Fear this year, you have made a terrible mistake. But it’s not too late! You can still register, or get your badge at the door. There are still slots in the games I’m running and, I believe, in the games I’ll be playing, as well as lots of other games. We’ll have our first celebrity guest, Martin Klebba, and you will meet a lot of great people who are not only huge gaming nerds but are also huge gaming nerds who are using their games to make people’s lives better. Changeling the Dreaming has always been a beautiful, broken game. The 20th Anniversary edition is less different from the 2nd edition than I’d expected. It is somewhat less broken, and still beautiful in its way. Lackluster kithain art detracts from it, and I would have preferred a bigger focus on new art in a game that is so driven by imagery (and so flush with new cash from the Kickstarter). The metaplot is reiterated and updated, but it holds less interest for me than it did 18 years or so ago, when I first started playing the 2nd edition with my friends in college. It remains very US-centric, which is unfortunate, and the rise of David Ardry still comes across as someone’s first brush with fantasy worldbuilding. All that being said, this remains a game I would run or play, and enjoy. There are solid updates to the rules to help with this, though it remains broken and in need of some house-ruling. If you love Changeling the Dreaming 2nd edition, you’ll love C20. If you already have the various splatbooks, though, I actually think you could skip buying the Anniversary edition. Many of the rules changes can easily be part of house rules, and the stunning new art that I was hoping for in a 20th Anniversary edition just isn’t there. This is just after a single read-through. I haven’t had a chance to play C20, and I’m sure I’ll find more on subsequent read-throughs. I’ve focused on the main kiths, Arts and some setting updates. I’d like to give more attention to the Hsien updates and other details as well in the future. Still, here is what I found. A lot of classic Changeling the Dreaming art is carried over, and there are some new pieces. I thought that the new art for the clans in V20 was lacking, and I think that the new art for Changeling often falls flat, especially for the kithain. (For a tutorial in how to do new art for a OWoD line, I recommend M20). The book is well laid-out and easy to read, and the table of contents has a few, but not enough, links in the PDF version. I prefer M20’s PDF, where all of the page numbers in the table of contents are links – in C20, only the chapter titles are links, which makes navigation a bit more cumbersome than it needs to be. Birthrights and Frailties for each Kith are updated, and I like almost all of the updates. No big changes have been made, but they have been cleaned up overall. There are now no Chimerical-only attribute bonuses, which is something that I actually thought made sense for the Sidhe and Trolls, though I might be in the minority there. You can still create a troll with a Strength of 8 (max out Strength on a Grump Troll, add Strength of Atlas merit), but it is all mundane, meaning your Troll is far stronger than the strongest human ever to live. Similar with a side with an Appearance of 7 – so I guess people just collapse screaming in ecstasy in the street wherever you go? I preferred Chimercal attributes that you could manifest by Calling on the Wyrd in 2nd – the sudden reveal was made all the more significant. In actually running Changeling, I would keep those attribute bonuses Chimerical I think. Arts have also been cleaned up. There was talk, when the rules discussion started on the Onyx Path forums, of eliminating Realms, which I would have preferred; in C20 Realms remain, but it is possible to spend a point of Glamour to cheat and use a Realm you don’t actually have, which is a big bonus to the way the system works. Realms are an element that adds constraints that sometimes drive creativity, but can also easily drive players crazy as they find out their character can’t do what they assumed she could do with her Arts. It’s an annoying element that isn’t present in any of the other supernaturals’ abilities. But the fix of being able to just spend Glamour to affect an Art you don’t have is a step in the right direction. There is a much better crafting system, which makes up for Infusion being removed from the game. It now makes more sense, how one would create Chimerical objects in-game, something that was profoundly missing in 2nd. Now any Changelings can create Chimerical objects, Nockers are just a bit better at it. And many things are now under one roof. Gathered up are all the added noble houses, and there are a few new ‘standard’ kith added to the lineup (Clurichauns, Piskies and Selkies) from splatbooks, and they streamlined the Hsien and added them as well. Elements of various metaplots have been brought into C20 together, and I’m not sure they all fit together, but that isn’t a big concern for me. I like that they kept Naming, though I miss Dreamcraft. The new Contracts Art feels like it was borrowed from Changeling the Lost, but with good effect. It lets you do things that fae are supposed to be able to do, in my view. I think it could have used another pass in development, but, again, house rules. 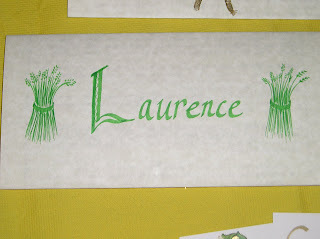 There are also four new seasonal Arts, clearly drawn from Changeling the Lost, and I like the addition. Autumn, Spring, Summer and Winter each bring different things to Changeling. (As an aside, I personally think the sweet spot for Changeling is somewhere between Dreaming and Lost, but that’s me) Each seasonal Art expands on the idea for that season well, though again, I think they could have used another once-over in development. Already mentioned, the setting remains US-centric. Understandable, but not good. I mean, it isn’t America of Darkness. Also already mentioned, I don’t like that the Chimerical attribute bonuses are now just attribute bonuses. I get why they did it, but I could see that easily causing problems. I mentioned the poor art for many of the kithain. The general rule that Changeling abilities are more costly, and have fewer dice, and are less powerful than the abilities of other supernaturals remains true. Infusion and Dreamcraft both get the boot, among the Arts. Dragon’s Ire is now an Art, and it looks like it would not be a great choice since other arts help you in combat. I prefer the Dragon’s Ire as an ability, since I liked that different kiths got a reduced difficulty to call upon the Ire in different situations. I thought this was a great thematic element – suddenly the boggan is frightening because she is defending her home. Most of the Arts got a once-over at least, and are a bit better balanced with one another, and also stick to their themes more closely (no more using Pyretics to find lost things, that’s Soothsay now). Unleashing, which is an awesome idea I think, is just not designed well enough. More examples would have been helpful, as there is a lot of hand-waving involved in figuring out what exactly happens. I like the idea of Unleashing – to ‘kick the door open’ to the Dreaming – but the execution isn’t well thought out enough. It’s like a tiny taste of an indie game, where you roll dice to see who narrates the result, and it just doesn’t work as a part of Changeling. Definitely another place where house rules would be required. Round One: everyone does something silly and waits. Round Two: the fight actually starts, as everyone’s Art goes off. Changelings using magical powers would easily be overcome by, say, a jock with a baseball bat. Combining the fact that Arts require Realms with the fact that no Art can be used spontaneously just feels like a bad relic of the past combined with a nerf. Splitting your first action hardly seems like a viable option, considering how tiny Art dice-pools are to start with – that’s a lot of work to end up rolling 2 or 3 dice at a difficulty of 8 for your magic power. There are also always issues with the Satyr’s Gift of Pan, and those issues remain. Under their effect, if one fails a difficulty 8 roll (easy to do with low starting Willpower, and Willpower costing twice as much as it does for any other denizens of the World of Darkness), they cannot resist giving in to their secret desires. They just seem to be unable to get away from consent issues with Satyrs, and I can think of plenty of players who would make this into an un-fun evening. If you loved Changeling the Dreaming 2nd edition, you’ll also love C20. If you actually played 2nd, you will have plenty of house rules to make the game work, and house rules will still be required for C20, though perhaps fewer of them. You’ll need to figure out what to do with Unleashing, and what it means to have a Strength of 8 or an Appearance of 7 in the mundane world – or house rule those things. In the end, I love Changeling the Dreaming, and C20 doesn’t change that. I would still play it. Reading through the book still gives me ideas for stories. C20 brings things that were scattered across a couple dozen splatbooks into one tome, and updates some of the metaplot to 2015 or so. On the other hand, I think that someone who already has those splatbooks, and already has some house rules, and could maybe add Unleashing into their game…I’m not sure that person needs to buy C20 at all. In planning on running a Changeling the Lost one-shot, I’ve come up with some house rules which I think enhance the game and also simplify it somewhat. What Changeling the Lost has is a lot of great fluff and atmosphere and color. What it lacks is a coherent system, seeming as if each power and special ability was designed by someone who only had cursory contact with the other designers. This is my little attempt to not only add some flavor but also to change some of that. First I wanted to change how Virtues work in Changeling. It makes sense to me that Changeling Virtues and Vices would be a little different from the Thomistic ones presented in the base system. Seeming’s Blessing and Seeming’s Curse are both handled differently. Each Blessing has a constant effect that is usually a roll-again. The player can invoke their Curse against themselves at one critical moment to gain one extra Glamour per session. They can invoke their Blessing once per session at the cost of one Glamour. To call on these, you call upon your Kith and drop your Mein for a scene. You hope that the Wyrd takes care of people who might see you. An aspect of gaming that is often overlooked is presentation of the game itself. When buying a game book we certainly pay attention to the quality of the art, layout and printing. Why not pay attention therefore to the quality of the other materials we use in gaming? What about having beautiful character sheets, beautiful dice, beautiful tokens or markers etc…? Why not be concerned about the gaming environment as well? Isn’t it cooler to game in a dank dungeon with flickering candles than in a room with doilies and floral print sofas? Some things are beyond our control obviously, when we game, but some things can be done with a limited budget and plenty of creativity. For example, Doug and I recently ran a game of Changeling: the Lost for our local game store (a perfectly brilliant place called Gamescape North Bay). To make the game more immersive and enjoyable we covered the tables with cloths, and set out candles and props suited to the game’s setting. Then we spent a good amount of time and energy making sure the character sheets and materials for the game looked fabulous and set the tone. 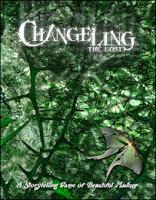 Changeling: The Lost is the most recent game released by White Wolf. It is Changeling for the NWoD, and is actually quite different from the original Changeling: The Dreaming. In Changeling: The Lost, you play the part of mortals who were taken to Arcadia to serve the True Fae but who have escaped, returned to the mortal world, to find that the world has moved on without them. The game seems to be about finding your identity in a world you no longer quite fit into, finding a way to return home, while avoiding the notice of the forces of Faerie which would like nothing better than to find you and capture you again – or worse. Like Requiem and Forsaken, character creation in Changeling begins with creating a mortal and then adding the Changeling template. This comes with some advantages, of course. Wyrd is essentially the power of your Fae magic – similar, actually, to Blood Potency in Requiem, because Wyrd determines how much Glamour (magical energy) you can hold and how quickly you can spend it. Clarity is the ‘moral’ attribute for a Changeling – it is the ability to tell dream from reality, essentially. High Clarity sharpens perceptions and allows kenning – discerning what is magical around you clearly. Low Clarity means you are essentially a lunatic. Instead of Arts, Changeling magic is expressed through Contracts. Each Changeling has one special affinity Contract based on her Seeming (Beast, Darkling, Elemental, Fairest, Ogre, Wizened) as well as her Court (Spring, Summer, Autumn, Winter). Contracts have Catches – things that must be done in order to use them that are special limitations – having thread from someone’s bedclothes to affect their dreams, for example. All Changelings also have affinity for the Contracts of Dream, Hearth (traditional blessings and curses), Mirror (changing appearance), and Smoke (stealth). When using your Contracts, you roll Attribute + Wyrd in dice, and even may high-level Contracts are pretty subtle. New Merits include: Court Goodwill, Harvest (allows you to gather Glamour), Hallow (special housing, including the sub-Merit Hallow Amenities), Mantle (connection to a particular Court), New Identity and Token (magical objects). If you’re looking for similarities with Changeling: The Dreaming, there are many to be found. Beasts are somewhat like Pooka or Beasties, animalistic fae with nature-attuned powers. Darklings are similar to Sluagh, nocturnal lurkers. Fairest are similar to the Sidhe, beautiful manipulators. 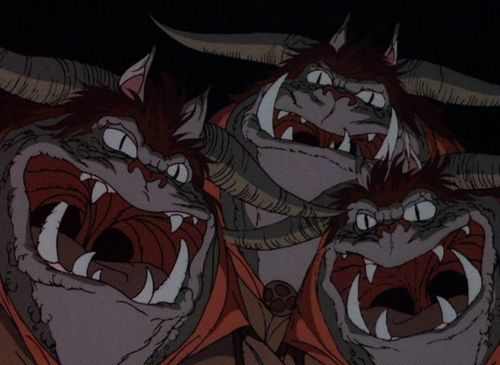 Ogres hearken back to…well, Ogres, as well as Trolls. The Wizened are artificers somewhat like Nockers. The similarities are not very direct, however – Lost is very much a new game. The book, of course, is absurdly beautiful and well written. On first reading it seems easy to use, though like any WoD book the rules are spread out and interspersed with flavor text and examples. The game is dense with setting and tone, and it needs to be. It is quite evocative – reading it, I feel like I get a sense of what the designers and writers were going for in the game. 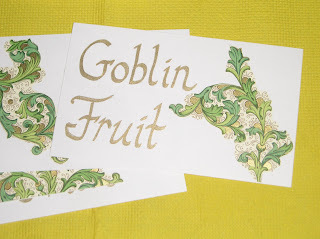 There’s a great deal I won’t get into here – Fetches and Hobgoblins and Goblin Markets, Entitlements. There is also the Freehold in the second Appendix, which is in this case Miami, presumably the iconic city for the Changeling setting – an interesting choice. Really, I need more time to read the book again, and ideally, I need to run a Changeling game, or play in one, to really get a handle on how everything works together. Just reading the book, however, gives the strong impression that this is an excellent game. It definitely, in my opinion, lives up to what I expected from another edition of Changeling. Without even playing it yet, I give it 4 out of 5 stars, and that’s partly because I actually prefer the dice mechanic of the Old World of Darkness. This game is dense with story, and is probably the best of the NWoD thus far.